Ensure your business has the tools it needs to make every planning session a breeze. 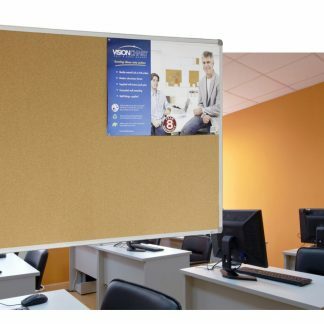 Storm Russo offers a range of durable, high-quality cork boards and combination cork boards/whiteboards for sale, making everything from advertising a company charity drive to mind-mapping out a project simple and easy. Storm Russo is dedicated to helping Australian businesses find the products they need at a price they will love. We offer an extensive range of cork board and combination boards at some of the most competitive prices in the industry, making getting the space you need more affordable than ever. Browse our catalogue and discover something for your office today. Storm Russo offers cork boards in a wide range of sizes to suit walls of every dimension. From smaller units ideal for hanging personal notices in an individual employee’s cubicle or office to larger boards suitable for use displaying company-wide notices in kitchen and breakrooms, we have something to meet every need. 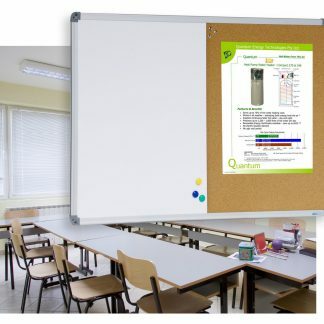 Our combination boards are half magnetic whiteboards and half environmentally-friendly Bioboard-backed cork, giving you convenience and versatility all in one. Provided with magnets and standard-wall fittings in two sizes, they’re the perfect addition to any individual or communal workspace. Make the smart choice for your office furniture and browse the Storm Russo range today. Ensure you’re equipped with quality at every level and take a look at what we can offer your organisation. Storm Russo stocks an impressive collection of products spanning everything from projector screens to executive desks, making it easier than ever to outfit every Australian business from Sydney to Perth. Place your order today, or get in touch with our team with any questions and we’ll be happy to guide you towards the most suitable product for your needs. Call us on 0414 945 576 or submit your questions via our enquiry form.